Fairytales and Fitness: Why You'll Love this Race Series! Perfect timing since beach season is around the corner!! Nice job on completing all the races in the J&A series! Thanks! Yes, I am so ready for beach season. It has been too long of a winter! Nice! 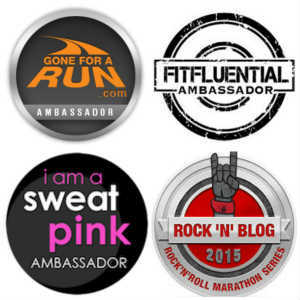 We runners do love our swag! And congrats on completing the series! Thanks! I know, I think swag is one of the things I look into before signing up for races. Very nice! Congrats on completing all of the races in their series...that's a great accomplishment! All those races sound like so much fun. I really don't know of any series like that in Dallas. Thanks! Yeah a very useful piece that will be great for the beach! These are really great races. Each one is unique in their own way. 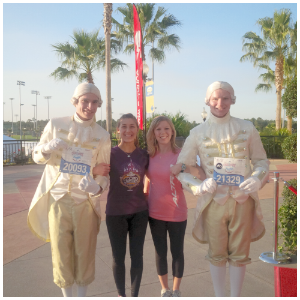 The wicked 10k is probably the most fun! The distance is very reasonable and everyone dresses in costume! There are a few race series around here. There used to be one called California Dreamin' where you got a jacket, but I think they changed it to a medal. Personally, I don't really care for the extra medals. You already get a medal for running the event. I'd much rather have something useful. A cooler is great! Although I love display the bling, a useful gift is great! Way to go reaching your goal, Lacey! That cooler will definitely come in handy during the summer time! My favorite local race series is put on by a local running store, Potomac River Running. The registration costs are very reasonable, and there is always plenty of food available at the end of every race. And one of the things I love most as a blogger: race photos are included in your registration fee! Thanks! Yes I'm excited to finally get to use it after this long winter. 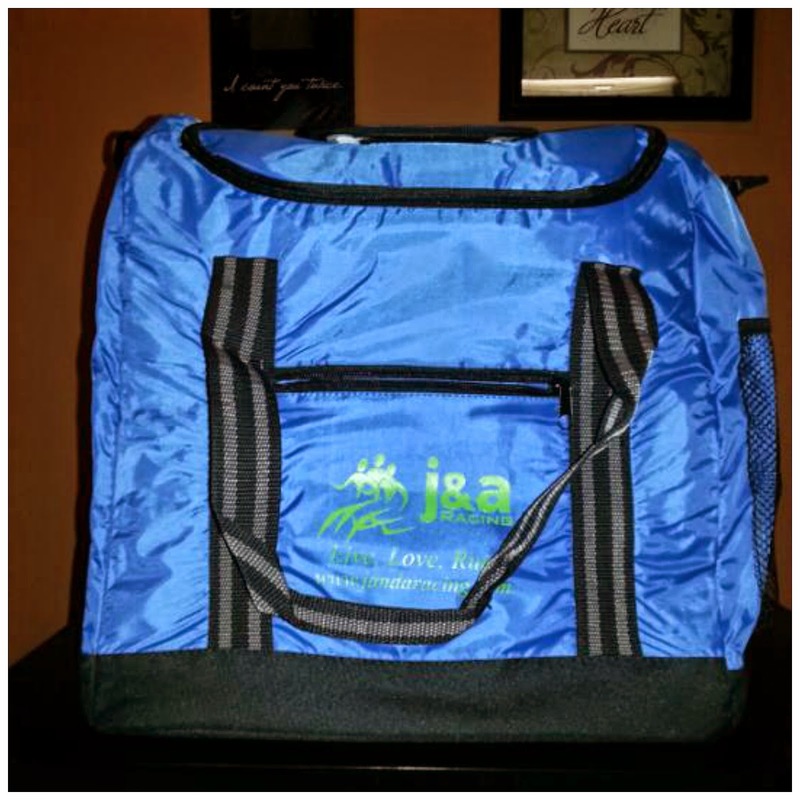 Love your new cooler bag. That is way more practical than an additional medal. By the way, Christine and I both love the J & A races too! Yes it is. They are great races. Hope I get to meet up with Christine again at another race. We had fun at Shamrock! I don't live in the VA area, so I doubt I'll be able to go to a J & A race, but I ran a half marathon this weekend that was put on by Running Fit, a Michigan-based company. The course itself was kind of blah, but there were lots of thoughtful details, like a fun, UFO-shaped bib (the race had a Martian theme) with a QR code you could scan immediately after the race for your results. It definitely made me want to run more of their events. Congrats on your half marathon! 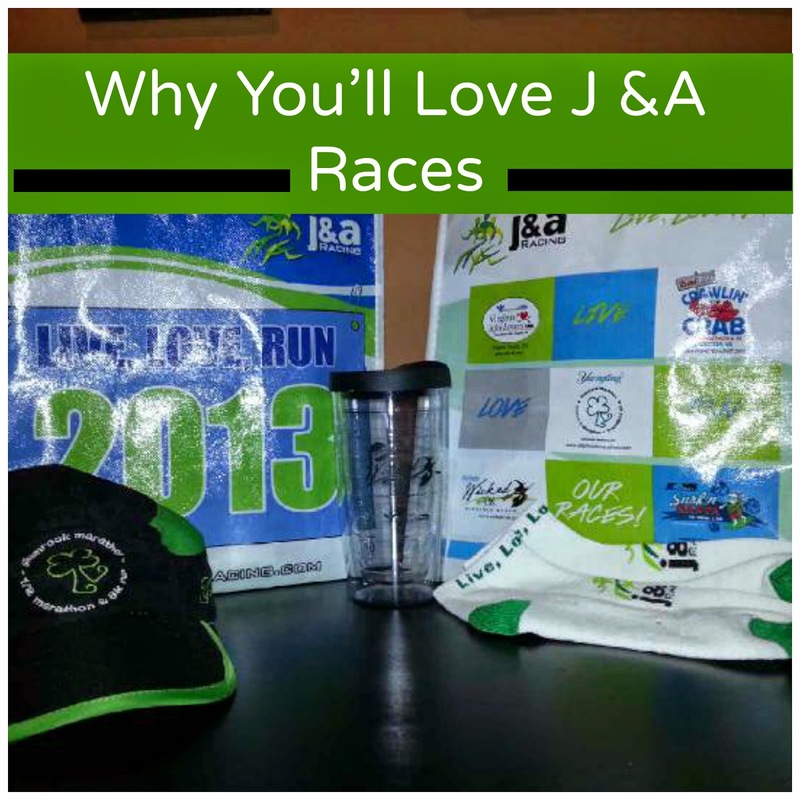 It's nice that different race series offer something special to their runners. That's what keeps me coming back to certain ones. I like that they gave you something special for completing the series. We have a local race series and my husband completed all of them (I missed one race due to bronchitis) but they didn't have an additional reward/incentive. I didn't sign us up for the series this year because A) it's in DECEMBER - who has all that additional money for an entire year's worth of races? and B) I'm being more selective about the weather when it comes to racing; done my fair share in stupid hot and humid days so I want to register closer to race day, if the weather cooperates. Yes, weather does make a big difference. Unfortunately with my schedule I don't know if I have off until closer to the date of the race, so If I do have off, I'm either stuck paying the expensive registration fee at last min or not be able to run because of it selling out. How fun, the medals are super cute too! Great job on finishing their series! We have several series here in Utah too, but I haven't entered any of them... yet.... But I have my eye on a few, one particular grand slam that you run 6 of the top best marathons in the state. I think it would be fun to enter a series and finish it all, I like the one you did, gave you a wide variety of distances and different races:) So fun! Thanks! Yes, the different distances does make it nice. It is such a great accomplishment! You should sign up for a series. I was very impressed with their organization -- you are right, they put on great races! Yes, they are probably the most organized races I have been to. That makes such a difference! I would have to agree with J&A races (I've done two). Which one was your favorite? That's like asking which one of your children is your favorite(even though I don't have any). Each one is great in their unique way. I really like the Shamrock weekend. Although the Wicked 10k is a the perfect distance and seeing everyone's costume is so fun. I've always read such great things about these races, I wish they were a littler closer so it was easier to participate! That's so fun! I have never done a race series, though I'm sure there must be at least one around (I'm not too far from NYC) and I just don't know it yet. I'm sure there are great race series up in that area. It is fun, especially if the series offer different distances for each of their races. 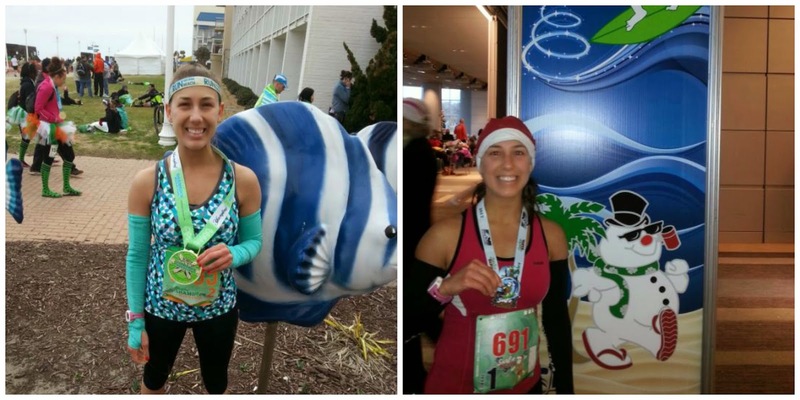 I briefly lived in Chesapeake in 2012 and ran Crawlin Crab 1/2 and Wicked 10k. I was BLOWN AWAY by how amazing J&A was. It's definitely the top reason I miss living in Virginia. Hopefully one day I can come back to run Shamrock 1/2!